Designed to bring comfort to all. We encourage children to attend services, but are aware some parents may feel concerned about children making a noise or becoming a distraction. Also like adults, children may need a change of setting when the heightened emotions of a funeral become too overwhelming. This is why we have designed special areas just for the comfort of children. 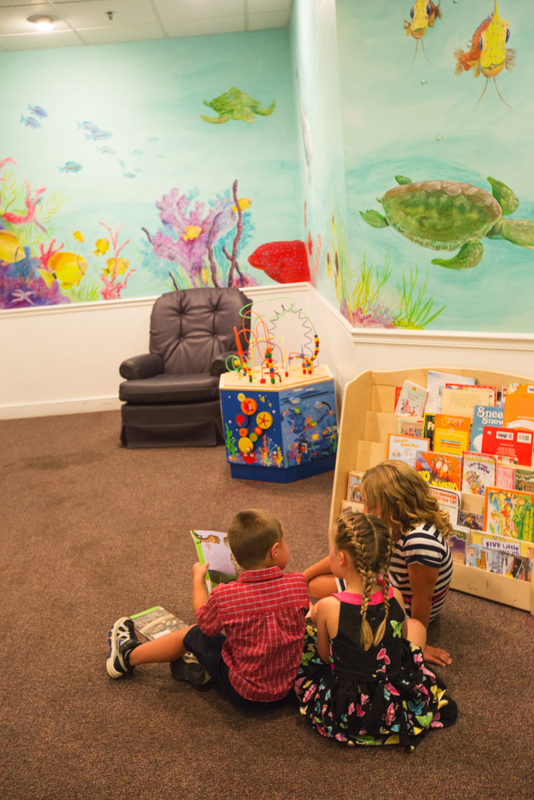 The children’s lounge provides a comfortable place, but also are equipped with monitors that allow you to view and hear the services taking place. You will be able to relax and still be a part of the life honoring services taking place. 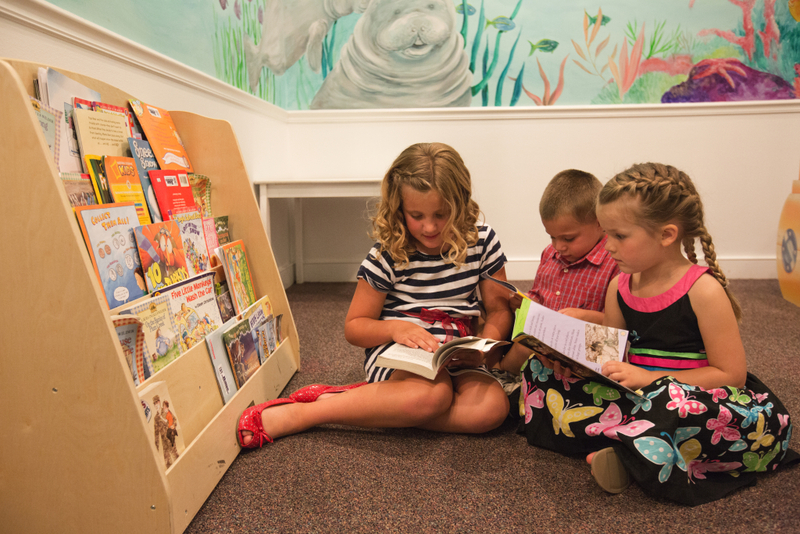 Our children’s lounges come with an assortment of books and toys. Local artist, Nancy M. Young painted tranquil murals of the ocean in both of our St. Charles locations to create a comforting, familiar atmosphere. Located at each of our funeral homes, these special areas are very popular. They relieve the stress of having to schedule a play date, exclude children or hire a babysitter. We invite you to tour these special areas for children. They will provide you with the security of knowing you are able to attend the service and all will feel welcome and comfortable here. 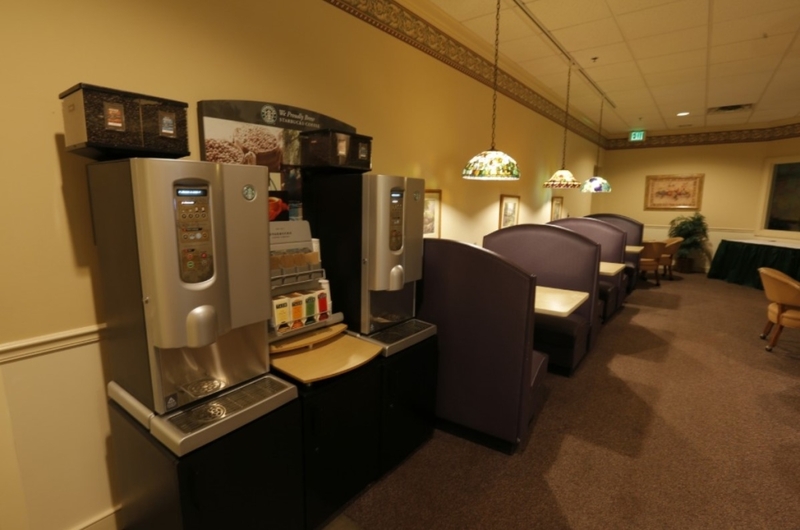 Each funeral home location offers a lounge area that provides space for families to gather for a meal together. Tables, chairs and beverage stations allow families the comfort of bringing in a favorite dish or meal to share. We are available to assist you 24 hours a day/7 days a week.